Eugen Indjic, and lastly, Michael Schäfer. Outside the formal structure of the schools, his father and mentor Gary Muller, piano teacher at the Conservatoire de Luxembourg, has had a decisive infl uence on his musical development. Jean Muller’s education has been complemented by guidance from musicians such as Anne Queffélec, Leon Fleischer, Janos Starker, and Fou T’song. 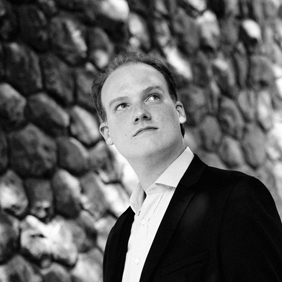 Since 1994, Jean Muller has been awarded fi rst prize at several French competitions: Jean Françaix, Francis Poulenc, and at Arcachon. He was a winner of the International Forum of Young Performers, a European competition organised by the Union Européenne de Radio-Télévision (UER) on behalf of UNESCO and the International Music Council. Jean Muller has performed on several occasions during state visits of Their Royal Highnesses Grand Duke Henri and Grand Duchess Maria-Teresa of Luxembourg. In 2007 His Royal Highness Grand Duke Henri of Luxembourg made him Chevalier of the Ordre du Mérite Civil et Militaire Adolph de Nassau. Jean Muller regularly performs internationally, at major concert halls such as Megaron in Athens, the Forbidden City Concert Hall in Beijing, the Luxembourg Philharmonic Hall, the Lucerne Culture and Congress Centre, the Salle Cortotin Paris, the Arsenal in Metz, the Munich Philharmonic Hall and the Liederhalle in Stuttgart. Muller is regularly invited to prestigious festivals, such as Festival Bourglinster, Festival A*Devantgarde Munich, Festival Echternach, Festival de Saintes, KotorArt, Incontri pianistica di Cosenza and PianoTexas. He has made solo performances with orchestras such as the Bayerisches Staatsorchester, the Münchner Symphoniker, the Orchestre Philharmonique du Luxembourg and Les Solistes Européens Luxembourg, conducted by renowned conductors including Frédéric Chaslin, Jack-Martin Händler, Zubin Mehta and Bramwell Tovey. The international press acclaims the fact that he uses his exceptional virtuosity in the service of intense, well thought-out interpretations. At the Poulenc Competition, Jean-Claude Pennetier, president of the jury and renowned pianist, said, “Everything is there: fi ngers, head and heart”. His CDs, published by JCH-Productions, Turtle Records, Polymnie and Fondamenta Productions, have also been warmly reviewed by the musical press, receiving the Excellentia and Supersonic awards from Pizzicato magazine, Coup de Coeur from Piano Magazine, 4 étoiles from Classica, 4 Diapasons, and the Arte CD Selection. Jean Muller’s recording, the Complete Beethoven Sonatas, performed in Ettelbruck, Luxembourg, has also been warmly welcomed by both the public and the press. The recording of this cycle of concerts will be released soon under the Bella Musica label. In 2009-2010 he was in residence for the CAMERATA cycle organised by the Solistes Européens in collaboration with the Soirées de Luxembourg at the Philharmonie Luxembourg. In 2010-2011, he will be performing at Carnegie Hall, New York and undertaking a third tour in China.